The temperature inside aircraft cabins is something we discuss regularly here at OMAAT. 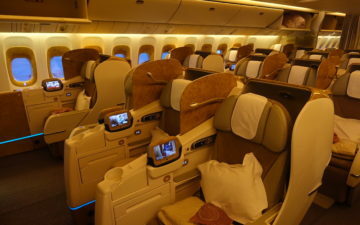 Ben is a massive fan of individual air nozzles at each seat, as airlines (especially Asian airlines), tend to keep their cabins extremely warm, meaning the blanket they give you is completely pointless. I have always thought the crew keep the cabin temperature warm on purpose, because it will send passengers off to sleep as quickly as possible (even though they may have a very poor night of sleep), because a sleeping cabin means much less work for the crew. I’ve thought some airlines insist on keeping window shades down during day time flights for the same reason. When I’ve read trip reports there will often be complaints from passengers that the cabins were very hot during boarding. This could be because it is a warm day and the crew has not activated the air conditioning on board, or the air conditioning may not be working properly, and this can cause delays. I also assume some low cost airlines use their air conditioning as little as possible to reduce costs. If there are any delays it can be very uncomfortable sitting in a warm cabin waiting for the plane to leave. Allegiant is an ultra low cost US airline, based in Las Vegas. They were the subject of a damning 60 Minutes exposé into their safety record and practices a few months back, which may have scared many of you off ever flying them anyway. 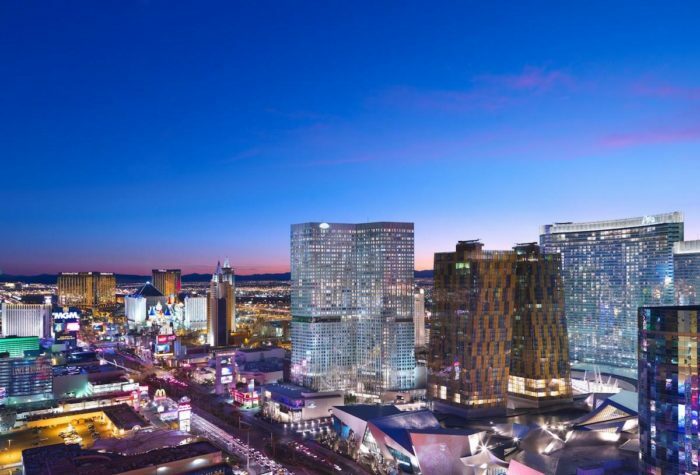 Now as you might realise, Las Vegas, and other destinations this leisure airline flies to, get really hot in summer. And Allegiant is very prone to delays. And they are an ultra low cost carrier, looking to save money any way they can. 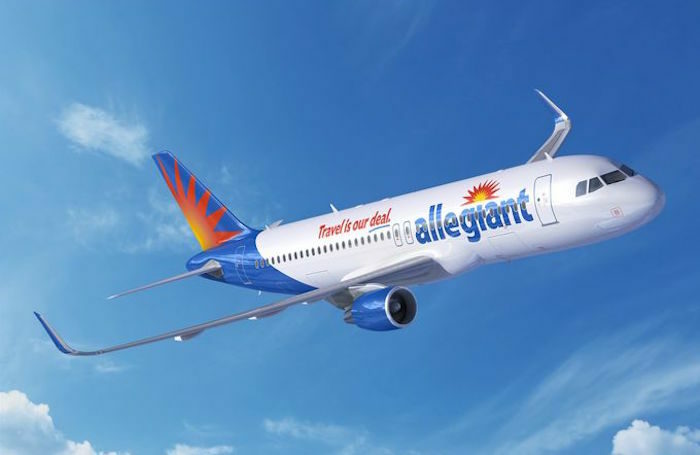 Allegiant has said that cooling the cabin is difficult during such extreme weather conditions, and they did what they thought was sensible in the circumstances. Allegiant must pay the fine within 30 days. It is the second time this year they have been fined by the Department of Transportation — the first was for not adequately assisting passengers with disabilities, and not responding to their complaints. I took a five hour Ryanair flight last week and made the mistake of wearing tight jeans on board. The cabin was kept fairly warm and I was extremely uncomfortable by the end of the flight (my fault for not dressing properly, I know). After the 60 Minutes story I was unlikely to ever fly Allegiant, and now the thought of a hot cabin in searing Las Vegas sunshine with insufficient air conditioning is enough to swear me off ever giving them a go. Next time you are boarding and arrive to a hot cabin, especially where there is a delay I would encourage you to speak up to the crew about the uncomfortable temperature — it can make a long flight feel even longer and puts everyone in a bad mood before the flight has even departed. Have you been stuck in a hot cabin during a delay? I suspect you’re going to get a lot of guys wanting to see a pic of said tight jeans. Is it illegal to wear tight jeans in Saudi? Allegiant is a dumpster fire. I’m flying em next weekend! Need to add to the logbook. A five hour FR flight? DUB to Cyprus? Iberia did the same thing when I flew from Portugal back to JFK two years ago in June. There was no ventilation at all and even most of the lights weren’t operational during boarding; it also smelled really badly since everybody was sweating. I thought something was broken but everything worked perfectly fine once they started the engines. As soon as they landed they turned everything off again. I worked for SkyWest in Palm Springs for a few years and worked ramp or CS and boarded flights with temp routinely over 115F. Never had an issue. Mainline went to a jetway equipped gate that had a/c we could attach to the aircraft in addition to onboard APU. With Allegiant at Gateway in Phoenix, even if no a/c provided by gates there should be portable ground air. Terrible to subject folks to Rhodes conditions. Once you’re dehydrated and the first signs of heat exhaustion hit, it’s a lot of work to recover. A good deal of those might have been on md-80s which are on the way out, which really struggle with cooling on APU only in the summer in the hotter parts of American, even when everything is working right. Not a unique situation (although their customer service situation, um, is). I think the blinds down during daytime is also because so many people nowadays live sleep-deprived lives and a flight seems like a good opportunity to catch up on sleep. Most people do seem to sleep, at least up front on flat seats. Arguably, the author’s declaration that they won’t ever fly Allegiant in part for fear of a hot cabin is questionable. Allegiant are claiming that they will have retired all of their MD-80 series aircraft by late 2018 in favour of the Airbus 320 series. To note that the average age of the MD-80 series fleet is almost 30 years, whereas their Airbus fleet sits around 12 – 13 years. Cooling an aircraft on the tarmac (by on aircraft APU and external units) is a different challenge to under engine power, so the intro to this article is somewhat misplaced, although makes the point that passengers can get uncomfortable in a hot cabin. A fligt with Ryanair from GOT – STN in August is something i will never do again (or fly with them EVER). When we arrived at Stansted they told us that we had to wait on the taxiway (our gate hade a plane with a problem) and the temp was very hot and with two kids is nothing i wish for anyone, we had to wait for 30 min. After i felt like i had a shower to try to hold the kids in the seat.